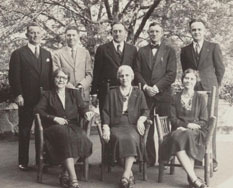 The mission of the Vanguard University Archives is to preserve and provide access to historical material, specifically resources relating to the university. It is the official repository for the university. For more information regarding the archival collections, including digitized content, click here. The Vanguard University Archives is open to visitors on Monday – Friday, 9-5. We highly recommend you contact the archivist, Pam Crenshaw, prior to your visit to ensure access to the materials. Since the Archives is located within the library, the Archives holiday closures are similar to that of the library. The Archives is located on the first floor of the library near the back entrance.